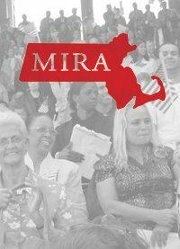 The Massachusetts Immigrant and Refugee Advocacy Coalition (MIRA) is the largest organization in New England promoting the rights and integration of immigrants and refugees. This year, MIRA celebrates its 25th anniversary. At last week’s annual “Give Liberty a Hand” gala event, Kitty Dukakis, Robert Glassman and Micho Spring were honored for their outstanding support for immigrants and refugees. Congratulations and thank you to Eva Millona, MIRA’s executive director, and to all MIRA’s board, staff and volunteers for the great work that you do.